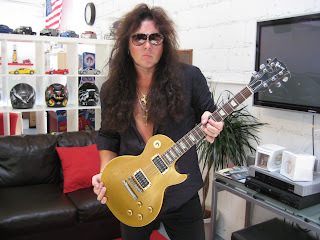 This was the only Gibson Les Paul in Yngwie Malmsteen's collection before he sold it to the current owner. Wait a minute, Strat-meister or no, I thought that owning at least one Les Paul was de rigueur for every guitar hero? 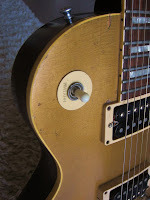 And this Les Paul Gold Top is a good one too, apparently. 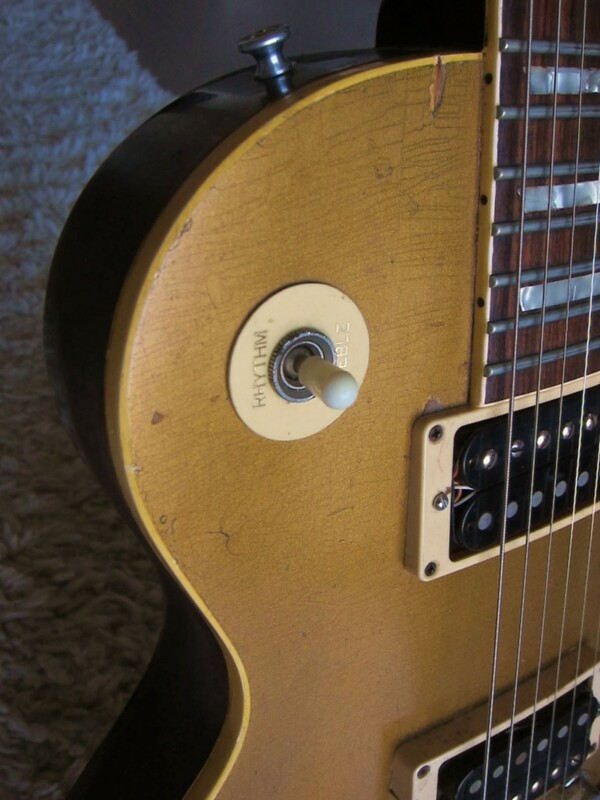 According to the seller, Yngwie was reluctant to sell this particular guitar because it had a 'bright' tone he was unable to find in any other Les Paul. I would give this guitar probably a 7/10 on the beat-up scale. The gold-top actually looks pretty good with none of the green oxidization of the bronze powder that was mixed in with paint to achieve the 'gold' color. 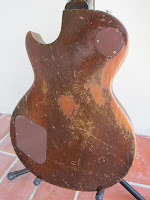 There is a real nice natural patina in the nitrocellulose finish along with a couple of character-adding, man-sized dings -- none of that perfectly coiffed, fake aging you see coming out of custom shops. But boy is the back chewed up -- probably from years of grinding against Yngwie's pirate-approved belt buckles. The serial number (836070) is just visible on the back of the most excellently ravaged headstock, which would put this guitar's year of production at around about 1969. You can check out the eBay listing for this Yngwie-owned Les Paul here.